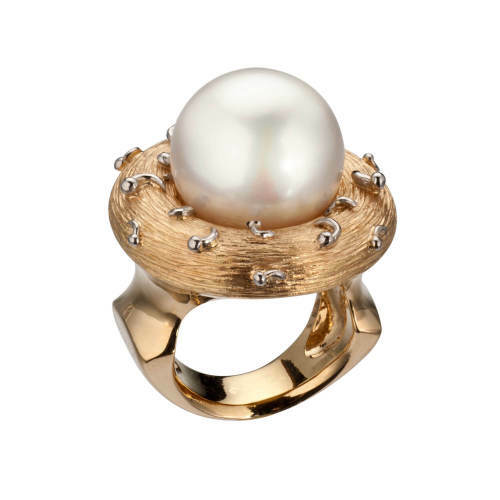 South Sea cultured pearl ring in 18 kt yellow and white gold. South Sea pearls. South Sea cultured pearl ring in 18 kt yellow and white gold. Can be matched with pearl earrings.